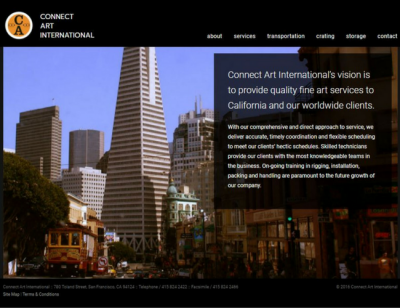 San Franicsco based art services company looking for an Administrative Coordinator. Candidate must have extensive customer service skills, good phone etiquette, the ability to take detailed messages and knowledgable with MS Office. Experience with Filemaker and a background in art helpful but not necessary. Please send resumes in PDF format only.